LOS ANGELES – Metrolink will perform track work on its Antelope Valley Line Sept. 23 and 24, and passengers may experience delays of up to 40 minutes through the duration of the project, the agency announced this week. “On Saturday and Sunday, Sept. 23- 24, Metrolink’s Antelope Valley Line will only operate four trains each day due to track maintenance. Replacement bus service is being provided,” Metrolink officials stated in a news release. Normally, Metrolink offers six trains in both directions on weekends, but only two trains will be available in each direction for this project. Trains 262 and 270 will travel from Lancaster to Los Angeles Union Station, with bus service between Vincent Grade/Acton to Newhall. Trains 263 and 271 will travel from LA Union Station to Lancaster, with bus service from Newhall to Vincent Grade/Action. 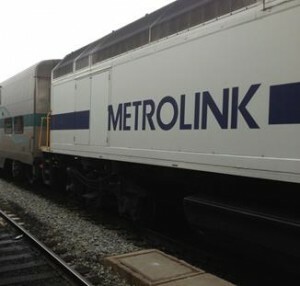 The track replacement project is part of Metrolink’s “state of good repair plan”, which will ensure continued rail safety and reliability for Metrolink riders, according to the news release.